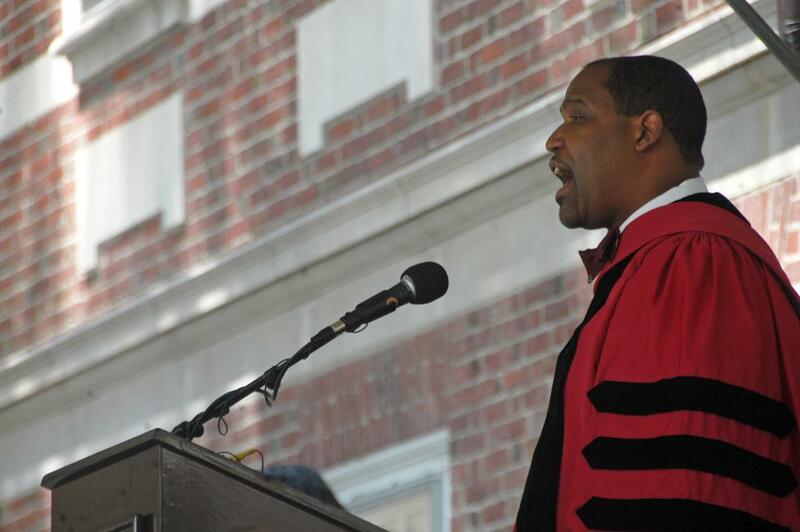 Winthrop House Faculty Deans Ronald S. Sullivan, Jr. and Stephanie R. Robinson addressed student concerns about “racially offensive” flyers calling for Sullivan’s removal from his post as a faculty dean in a Sunday email to Winthrop affiliates. A group of students distributed the flyers, which included an illustration of Sullivan and encouraged Winthrop residents to send feedback via an anonymous link, on Feb. 25. Danu A.K. Mudannayake ’20 — who illustrated the flyers — denied that they depicted Sullivan as a caricature or in a racist manner. She said they were intended to call attention to Sullivan’s decision to publicly defend two men accused of sexual misconduct — Hollywood producer Harvey Weinstein and Harvard Economics Professor Roland G. Fryer, Jr.
Sullivan — who is also a Harvard Law School professor — has faced student scrutiny since the New York Post first reported on Jan. 23 that he would join Weinstein’s legal team in the film producer’s Manhattan sexual abuse case. Students have since called on Sullivan to resign as faculty dean in protests, op-eds, and open letters. 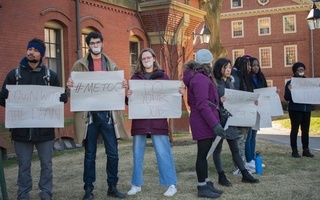 Most recently, Mudannayake and some members of the anti-sexual assault advocacy organization Our Harvard Can Do Better distributed the flyers in Winthrop last week inviting students to “make your voice heard.” In a separate incident that same day, a vandal spray-painted slogans calling for Sullivan’s removal on the exterior of Winthrop. 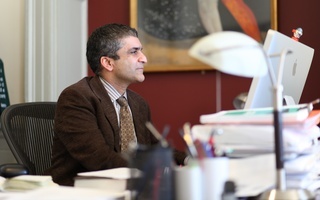 Responding to student concerns, Dean of the College Rakesh Khurana announced Feb. 25 that former Dean of Freshmen Thomas A. Dingman ’67 will lead a “climate review” to collect student feedback about Sullivan’s decision to represent Weinstein. Sullivan and Robinson wrote that, since house staff discovered the flyers last Monday, students have questioned whether they depict Sullivan in a racially offensive manner. They added that some students said they were particularly concerned that the flyers circulated during Black History Month. Mudannayake, a Crimson Design editor, said that she is disappointed with the Faculty Deans' response and that their email did not address students’ concerns about the wellbeing of house residents who have experienced sexual harassment. Asked about Mudannayake’s criticism, Sullivan and Robinson referred back to their email to Winthrop residents and wrote that they did not express an opinion on the flyers. “[T]he email acknowledges and addresses concerns expressed by some of our students. The Faculty Deans, in contrast, did not express an opinion. We addressed student concerns brought to our attention,” they wrote in an email to The Crimson. 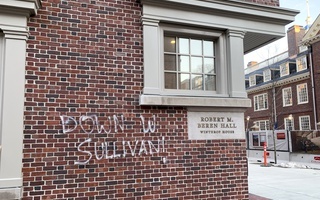 Sullivan and Robinson also wrote in their original Sunday email to Winthrop residents that the Harvard University Police Department continues to investigate the graffiti, which they called “antithetical” to the House’s spirit. “As always, our doors will remain open for anyone with concerns about House life; however, criminal acts designed to intimidate are antithetical to Winthrop’s spirit and the communal norms that have served us well over the years that we have served in this capacity,” they wrote.